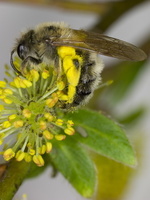 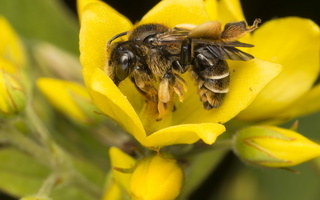 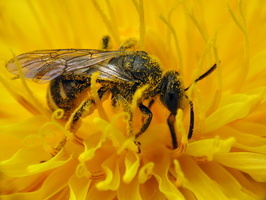 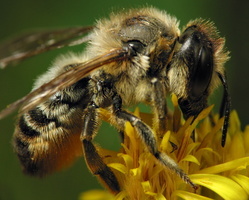 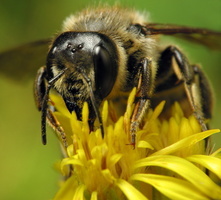 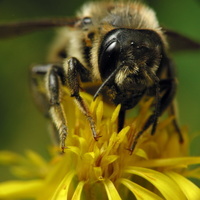 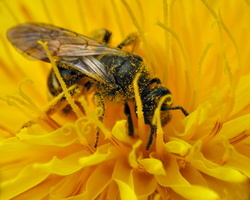 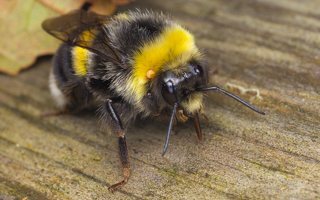 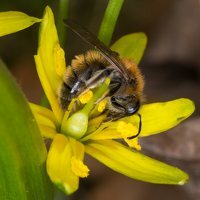 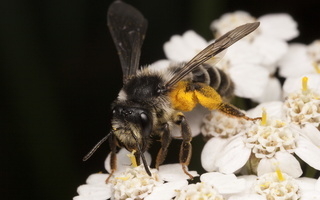 EN · bees DE · Echten Bienen LV · bišu dzimta PL · pszczołowate RU · пчёлы настоящие, пчелиные Suborder: Apocrita Superfamily: Apoidea The Apidae are a large family of bees, comprising the common honey bees, stingless bees, carpenter bees, orchid bees, cuckoo bees, bumblebees, and various other less well-known groups. 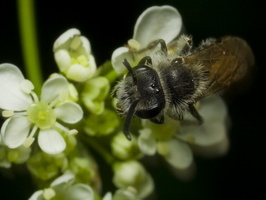 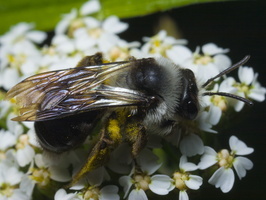 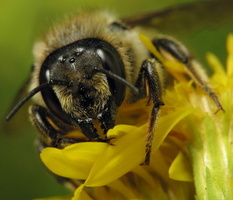 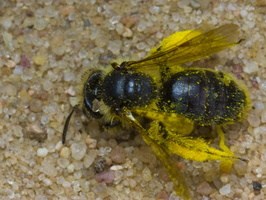 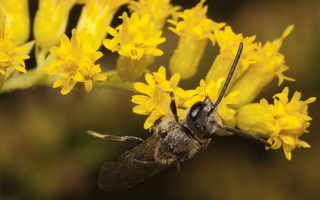 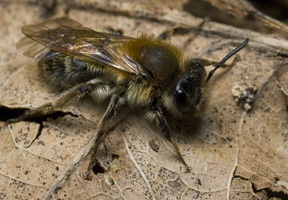 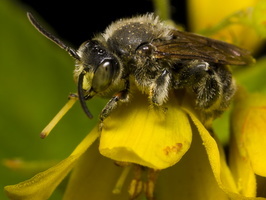 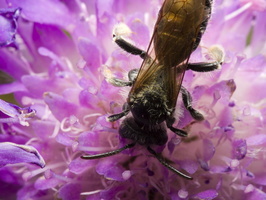 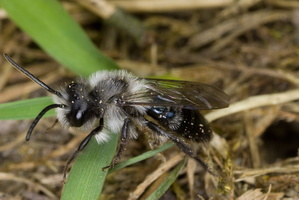 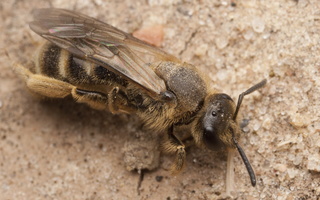 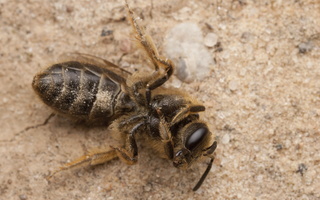 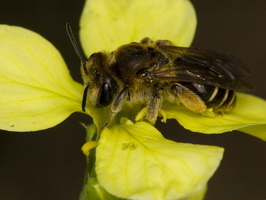 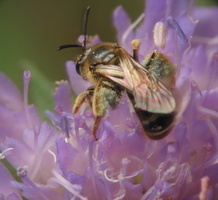 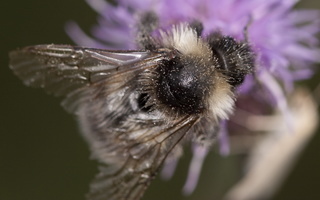 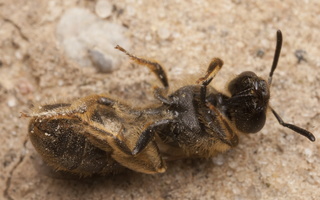 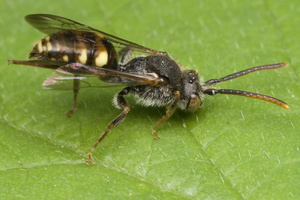 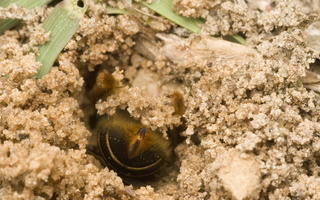 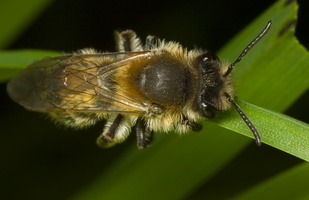 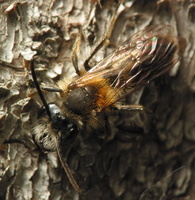 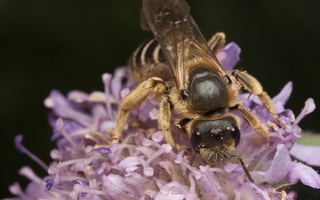 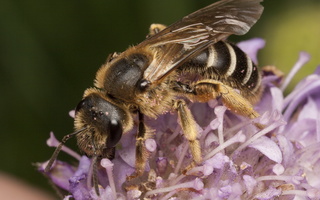 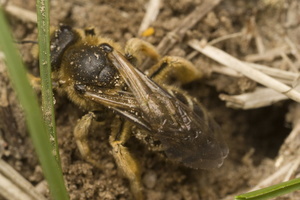 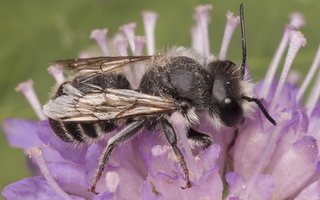 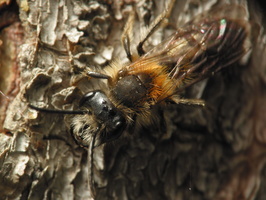 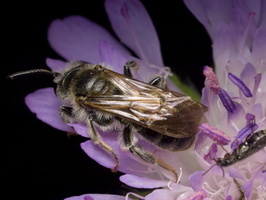 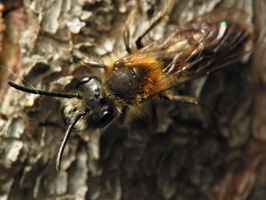 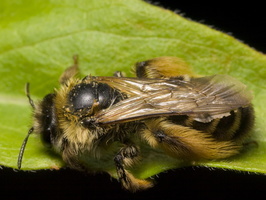 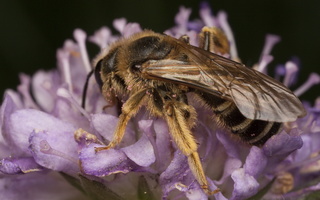 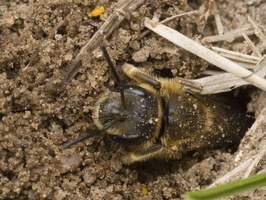 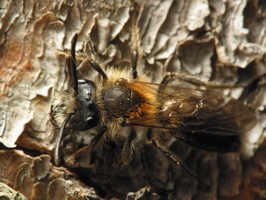 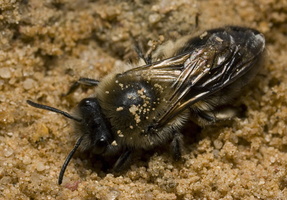 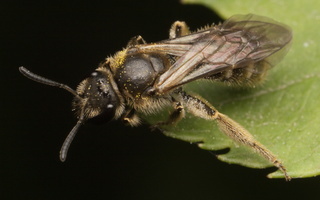 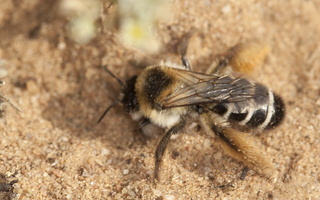 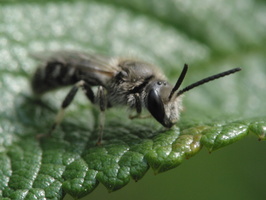 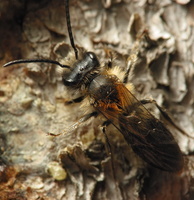 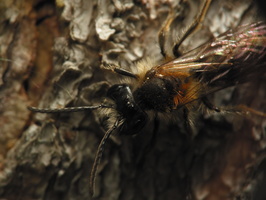 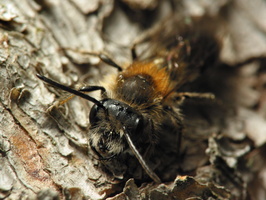 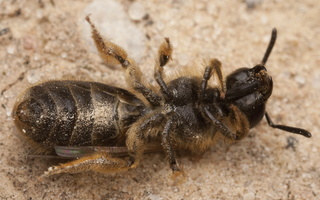 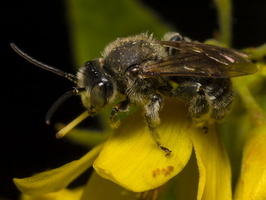 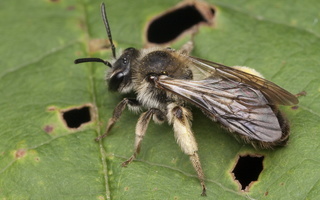 The family Apidae presently includes all the genera that were previously classified in the families Anthophoridae and Ctenoplectridae, and most of these are solitary species, though a few are also cleptoparasites. 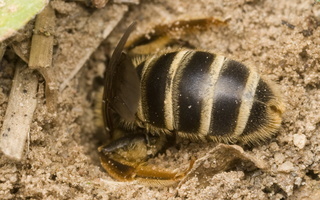 The four groups that were subfamilies in the old family Apidae are presently ranked as tribes within the subfamily Apinae. 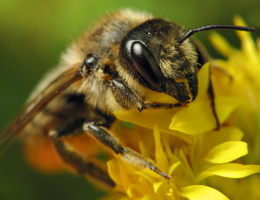 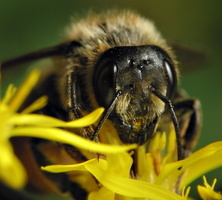 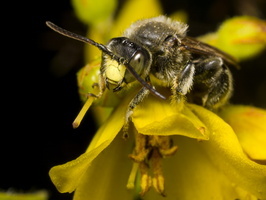 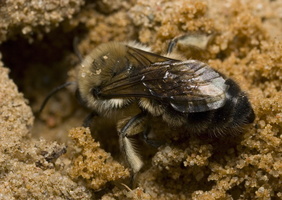 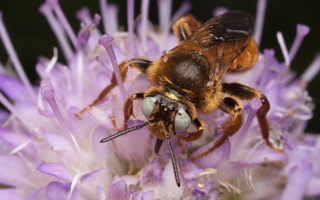 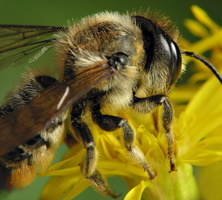 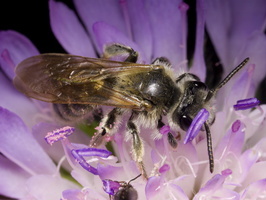 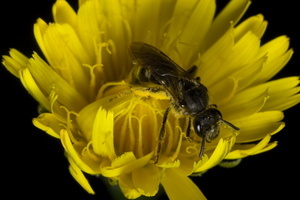 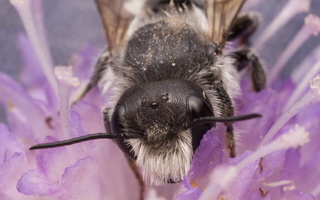 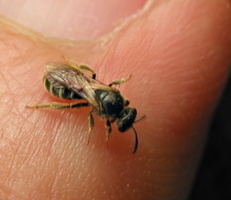 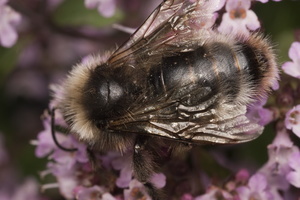 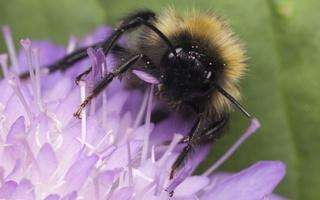 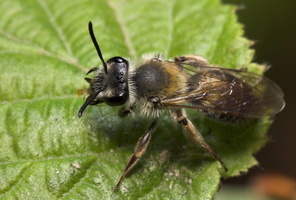 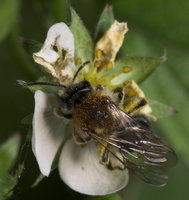 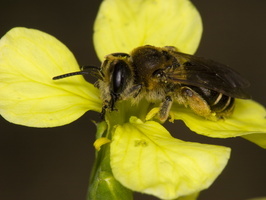 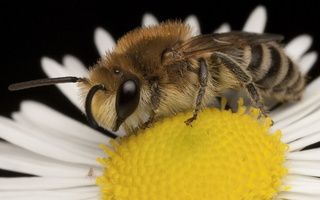 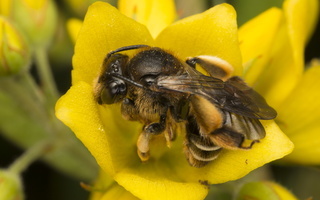 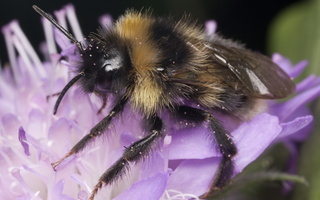 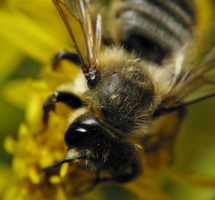 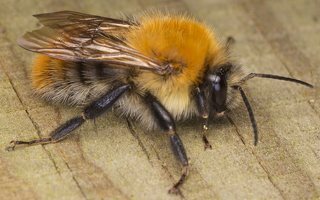 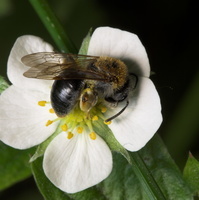 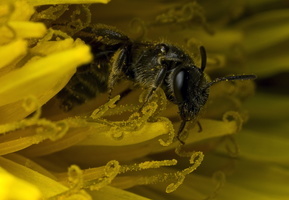 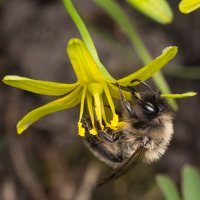 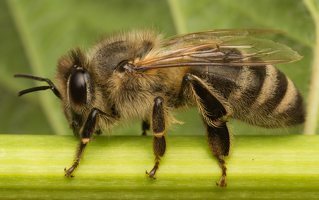 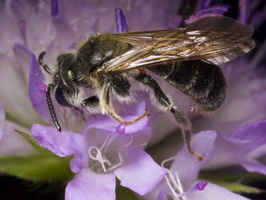 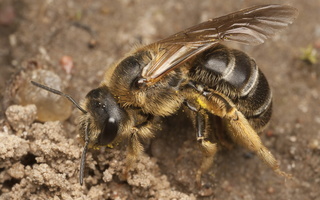 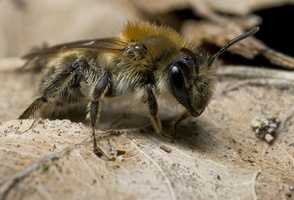 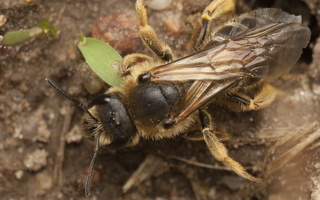 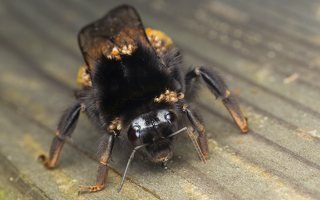 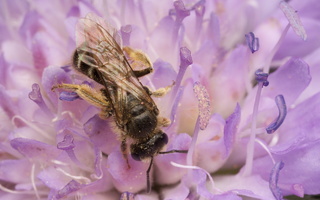 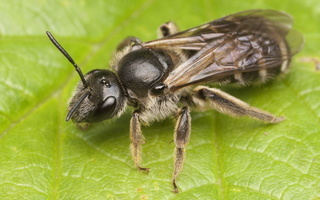 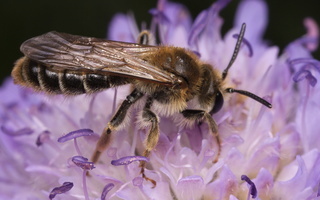 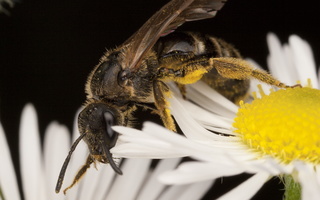 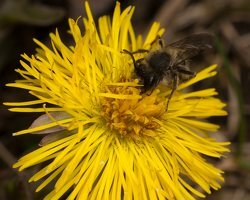 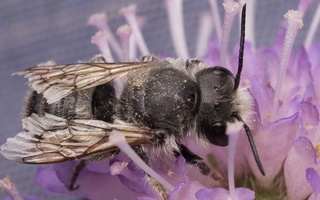 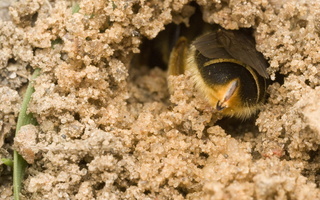 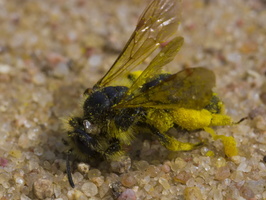 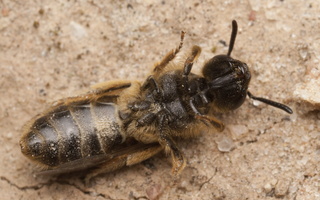 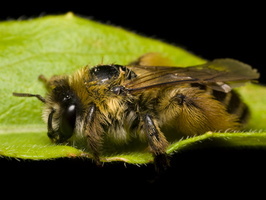 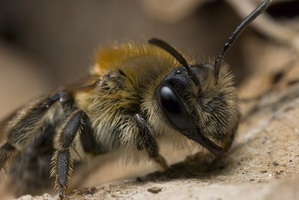 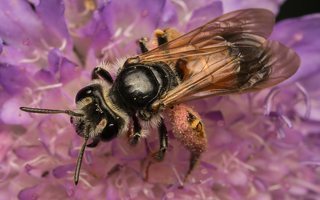 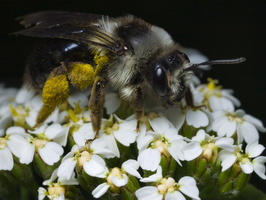 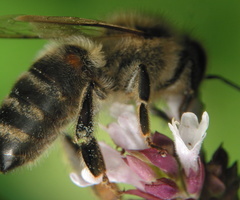 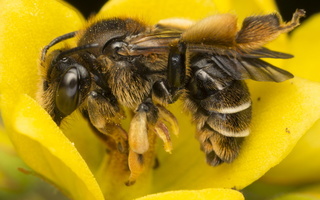 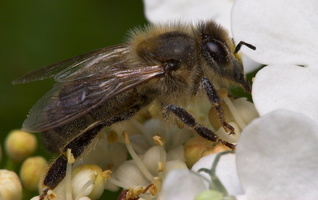 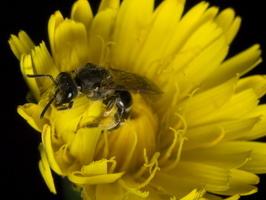 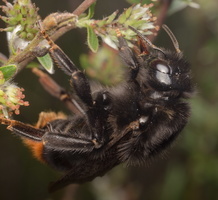 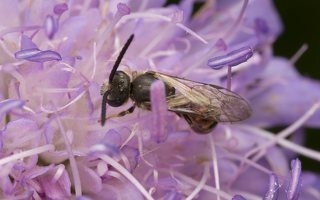 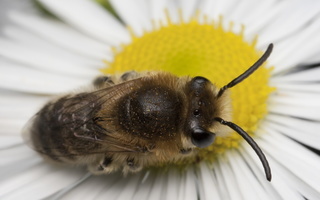 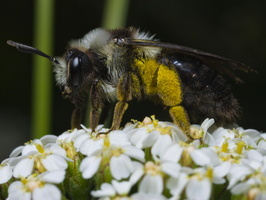 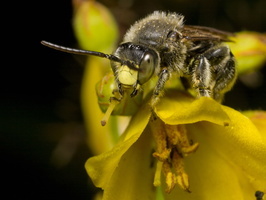 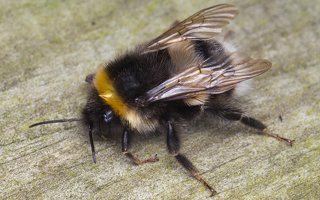 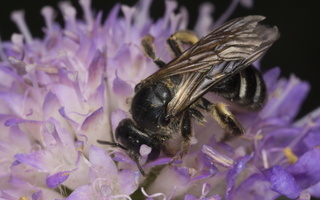 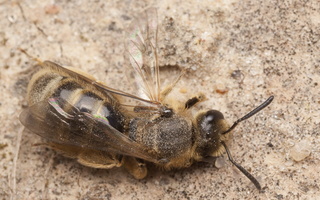 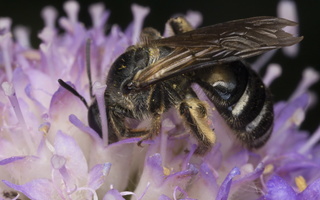 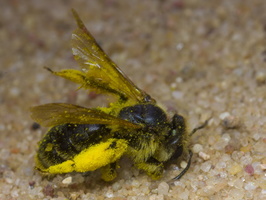 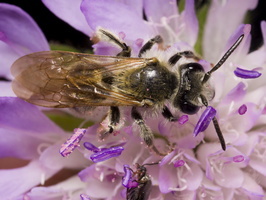 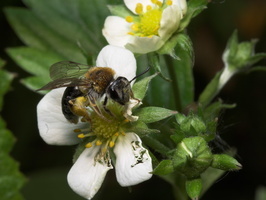 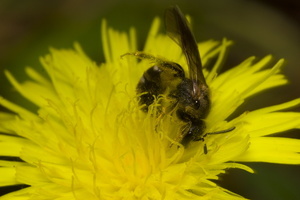 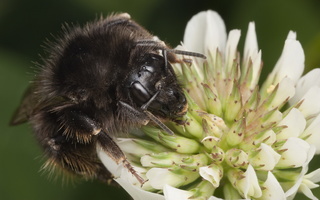 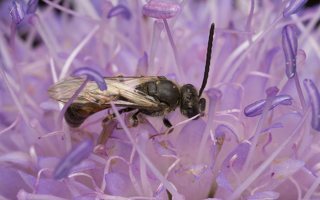 This trend has been taken to its extreme in a few recent classifications that place all the existing bee families together under the name "Apidae" (or, alternatively, the non-Linnaean clade "Anthophila"), but this is not a widely-accepted practice. 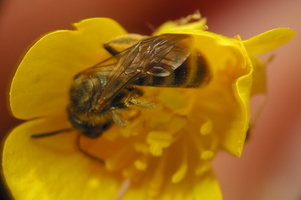 About 350 species are known in Lithuania.